For those of you that have been reading along, you know my father was less than perfect and was an alcoholic. His drinking started out much like a lot of people. He would have a few cold beers after work until they ran out. On the weekends he would have cold beer until he had no more left and started hitting the liquor, that’s when Dr. Jeckyll turned into Mr. Hyde. Usually, this wasn’t all seen throughout the course of the day, because he was cavorting somewhere he shouldn’t be, with someone he shouldn’t be with, trouble he ought not be in, so we didn’t see that part. Usually when he became intolerant, someone from wherever he may be would find one of my older brothers and tell them to come get him before he got rolled or hurt. That usually turned in to an altercation itself between he and my brothers, that lasted well into the night, before he finally passed out. There is a fine line crossed by some into a delusional land where they can no longer tell right from wrong. Most of the time any compassion they own turns inward and lets out hate. There is no return from that land until the person passes out on their own and is left alone. Many are the days in my young, formative years, I have seen my dad in this condition. I suppose many of these memories are what causes me to have such aversion to alcohol and rough housing. I am not above anyone having a drink. If I want one, I will have it. If it is hot outside and I want a cold beer, I will have it. If I want a mixed-drink, maybe two, I’ll have them. I find nothing wrong with it. I have a very hard time at parties or social gatherings when people don’t know their limit. When ones personality starts to change into stupidity or aggression, innately it is time for me to leave. There was a particular weekend, probably a year or so after my dads mother had died that is etched into my mind. It was not a long time after my dad’s mother had passed. I think it was a Sunday. Usually, if he got drunk on Sunday he wanted us all to sing hymns or read him the bible. “Don’t ask me, it was a strange combination”. By middle afternoon dad had gotten hold of the bottle and not a bottle of beer. Being this drunk always made my dad curious about things and very emotional, sometimes not in a good way. I do remember the most important mementos that dad had of his mothers were kept in the cellar. He would often go into the cellar to look at is mothers things. Her death had changed him. This day, we saw dad bringing things out of the cellar, in particular two camel back trunks that mom had wanted to use in the house, but dad couldn’t bear to open or look at them. You can imagine they must have been very nice, for my grandmother was born in 1880 and her things were well taken care of. After he dragged them from the cellar, he loosened the buckles that kept them closed. I could see he was on a mission. I can see the leather straps and the eyelets the buckle slipped through. He began going through them one item at a time, slowly, sort of like a hoarder looking at items they can’t throw away. He built a fire in the middle of the yard, a short way from the cellar. Each item he removed was held on tightly for just a second, whether it be a shoe, a beautiful hat with a feather in it, or her hand-sewn dresses. He would cry at the mention of his mother after many, many years. Anyway, as his grip would loosen on his object, he would throw it into the fire and watch it burn, burn completely, with tears rolling down his cheeks. Over and over, holding onto his possession as if breathing life out of it and again throwing it into the fire, watching it burn. This ritual went well into the evening. After he had both trunks empty and was reaching to heaven, wildly he took the beautiful banded trunks with beautiful locking buckles on the sides and cast them to the fire, watching them burn. Now, almost everything he had personally collected of his mothers was gone. I suppose in an odd way, he couldn’t move on without the separation of that dysfunctional attachment he had with his mother. After what seemed as an eternity, dad had drunk himself into a stupor and fell asleep on one of his mother’s old bed frames he kept under a group of shade trees, in an area we always called “the shade”, for there was no sunlight there. He slept there all night, as he had many nights just to wake up in a fog in never never land, not knowing what happened. He never remembered the day before, never! He would break his own heart every time this happened. I remember him looking in the ashes, finding buttons and buckles and the like, putting them in his pocket to do who knows what with. He had a saddened face and a look of abandonment that had been replaced by a different mood. He looked bewildered, and we loved him . There was no solace to find in his wife or his kids at this time, when he needed to cling on to who loved him, to give him peace and ambition to move forward, he didn’t know how. He loved us, I know he did. I believe he personally felt passed over in a time of grief. People say grief never ends for some, for others it takes a lifetime, but his closure never came for his mother. It was a terribly heart wrenching scene to play out when you are a child. A child without the tools or ability to use them if you had them to help someone out of the crisis he was in. His only solace was his self-medication of the bottle. We knew another round would start soon, it always did. Then some other inanimate object would be the reason for his cause, sometimes my mother, those were the worst. You wonder, “well, why didn’t she leave him”? Where is a woman to go with at least 7 children? There were no shelters, there was not enough room at her mom and dads and they lived in another town. There was no money. Even through the harshness of abuse, and my mothers own mental demons, there was too much pride to ask for help, even though there were cries for it. I suppose in his infinite wisdom, God gave my mother so many kids because he knew she would need us more into her older age than any other help he could possibly provide. We gladly loved, honored and helped my mother with all things that were possible. I continue to feel that pain my father must have felt, but it is only because I miss my mother and I understand we are only given one another for just a moment in his time. I have a few of my mothers keepsakes and they are proudly displayed. They feel more like trophy’s that she won and handed to me. I am blessed. In closing, I suppose there should be a heart of hate for my dad, but there is not. When my dad was good, he was the best. He was a troubled soul, born in a time when men weren’t supposed to be “weak” and did not share his feelings. Because of his addiction, I understand some of his dysfunction now, even if now doesn’t make then right. I drove out to the old farm house today. It was the first time I had driven out in a while. As I turned off HWY 83, driving down the old familiar road, I noticed the billows of powdery, brown clouds laying wake in my path. The same ones I have written about. As I turn down the sandy road to familiarity, I see the old house is still standing, albeit the sky showing through her weakened frame. She still has her pride, glory and majesty, and oddly curtsying as if to say “hello”, it’s been a while. Or” hey”, I remember you and she looks happy, as if she remembered I belonged. I look into the old house through door-less entries and hear whispers of passed sounds that echo from every corner, forming words that cannot escape its gaping holes and shingle-less roof because they were made by more than just me. Every inch of the old house had seen us, had been us for a long time. At one time she was an embarrassment, but now she is part of a majestic legacy, beautiful in her distress and unwillingness to give up. As you can see her on this page, she seems to beckon you (the reader) to come inside. The floors are warped, partly gone and caved in in places, places where baby steps and grandmas use to stand. The windows are all gone but display the clearest of view when looking in any direction. She doesn’t fear the elements anymore, for now, she can let down her guard. She did her best and pulled her weight for many a year. I touch her door facing and see all those who had entered in, as if looking into a crystal ball. The wind is blowing straight through from one side to the other, carrying her infamous grains of sand. Staring, I can see the new, plastic curtains, bought from M.E. Moses that have been hung, displaying the pride the adornment meant to us, as trivial as that was. I look into the kitchen where all the meals had been prepared, where we prayed and spent so much of our time. The old cabinets are releasing themselves from the walls and the drywall is all gone. It has fallen into a scattered oneness of memories. The old water heater sat in the southwest corner of the kitchen. I can see three cigarettes on top of it that dad left mom every morning when he went to work. The bedrooms look so much smaller now than when I was a child, they too are weathered and seem to be taking the brunt of time and an existence that has been too long for it to endure. An old, old Victrola, way beyond repair sets against the wall in the twin’s bedroom. I have memorized the sounds that it could make, if it could make them again. This place was the shutters and boards that coddled and protected us when times were rough. She now stands alone, in a lonely field, displaying her weathered grayness, becoming less of herself each day. The once tall porch doesn’t look as tall as it once did, it trembles and crumbles with age, yet still has strength to stand. If I look closely through the windowless kitchen, I can see the large fruit trees that used to be behind the house. There was an orchard of peaches and apricots and I can see myself climbing each one of them, sometimes with half ripened apricots in between my teeth. I am glad I got to see you today. Thank you for the memories (good and bad) you have given me my friend. Seeing you reminds me of then! Some might ask, how do you remember so many things, so many memories? As I begin to embark on my 60th year, I know more memories have been forgotten than I will ever remember. Sometimes it is just a look someone gives, a place you visit, or even a smell that will send me back in time. My 2nd grade teacher, Mary Dale was my all time favorite, she was genuine, she was beautiful to look at, with skin like porcelain, nonjudgmental and so deeply caring. She knew what kind of life most of the kids lived outside of school, but especially she understood the hardships in learning and she treated us all well. That was a great achievement for someone who did not have children of her own. One could feel her deep commitment for children and the love for her work. But, most of all, the perfume she wore I remember more than anything, that’s what for whatever reason leads me to this story. It was soothing, warm and smelled so pretty. She was pretty. Only thing is, I don’t remember the name of that perfume. Occasionally, I will pass someone with that familiar smell and am automatically thrown back to the 2nd grade like a shake shifter. As I walk into her room, her desk is at the front of the room. She had the walls decorated with educational posters, mostly hand made during her school breaks. I will never forget the chalkboard. She would turn the handle for us to put up our jackets and about 8 or so doors would open, revealing a closet room behind the chalk board. As well as her perfume, I remember Valentine’s day when my classmates and I would have decorated paper sacks hanging to put Valentines in. Some would be all glittered up and some might have a sucker or candy cane in them. After a head count was done, we would say The Pledge of Allegiance with the intercom, along with Ms. Tippen in her office. Our elementary school was named the Alamo. I can smell the strong smell of Crayola’s and see the Big Chief tablet and the number 3 pencil we used to practice our cursive writing on, drawing circle after circle until one nearly became dizzy. I can see Ms. Pearl in the school auditorium where we had music class and the notebooks we would write our scale on. On occasion she would take one student and put them at the bench of the tall, upright piano with her just to hear their voice. I remember my classmates and I singing every day. I remember my good friend Gwen singing a solo on stage one day, she sang Standing in the Need of Prayer. I believe the curtain was red. When it was not drawn a beautiful wooden floor could be seen. She was one of the first of our classmates to understand that song, for she has been in heaven for many years already. I wonder how many schools allow that song to be heard today? As a child the auditorium was very large, there were at least 3 radiators on either side of the room, with windows that let in a lot of light. A boiler was outside and at times you could hear he creaks and groans as the boiling water came rushing into the radiators. There is a turn handle on the end of each one of them to regulate the temperature. I always liked sitting by the radiator. Memories were made there. Every year after Christmas break, we would have what was called show and tell day. Each kid would go across the stage with one gift they had gotten for Christmas, one at a time. I usually would bring cap guns and maybe a holster. On school days, around 1030 or so I guess it was, we began to start lining up in the halls, one room at a time, getting ready to be bused over to the high school for lunch. The Alamo was for kids grade one through three. My first-grade teacher, of whom many know, and love was sometimes very moody. I will leave out her name and just call her Ms. S. and most will know who she was. I never had my ear pulled by anyone so many times in my life as by her. I nearly learned to more than dislike her, but that word is a little strong today. Thank God for Ms. Mary Dale, because third grade didn’t get any better than the first. Ms. Bernita was my 3rd grade teacher, an old spinster that had never married and really didn’t have the knack it took to be with kids of our age, many of us often thought she should be in high school, although many parents loved her over-authoritarian teaching skills. What I thought was mean at the time was probably her way of learning routine and respect, for respect was one thing we all learned in my era. If not, there was always a paddle waiting in the office. If you were made to sit in the hall, you knew a paddle was coming a short while later. In later years, as adulthood sat in, we became quite good friends and I learned that I cared for her very much. All these wonderful ladies are gone today, but they, along with many other great childhood educators left their impression on me in one way or the other. As the school attendance began to fall, there was hardly a need for 3 schools, elementary, grammar and high school. So as time went by, the Alamo stayed vacant and wear began to take its toll on the beautiful rock building. As years went by, the school was finally torn down secondary to a large amount of asbestos. There was a rock wall that went all the way around the school, with an arched walkway that had to be entered in to. Today a nice memory park sits where the school used to be, inside the great wall that all of us walked on illegally during school hours. There was a large swing set with the old modeled curved seat made from some type of heavy material, tall slides, seesaws and a merry go round we probably all sport wounds from. There’s not a lot to say about this great childhood building and the memories that are only shadows today, for she is gone. One thing is for certain though, I will always remember the Alamo. Sitting here thinking of a time far away, seems like a life-time ago, a time when things weren’t always good. A memory my brother Johnny probably doesn’t remember or even have the faintest imagination that it impacted my life. Johnny is my oldest brother, the patriarch of our family for many years now, since my dad has been gone. I have memories of him often, some are remnants or flashes that hadn’t finished their train of thought, to wonderful ones that I will remember always. As a young man, he had a mind of his own and his decisions may not have always been the best, but there was never a time he wasn’t there for us, nor was there a time I didn’t think he cared. I know many of you remember Baldy Green’s store, the little rock one on the south end of town. It hasn’t always been white like it is now. Well, Johnny used to work there when I was a kid. Strange how many memories I have that revolve around food, I guess because I remember what it was like when it was sometimes scarce around my house. Anyway, when Johnny would cull out the produce section, Mr. Green would let him bring home what was still good but wouldn’t sell. Fruit was the main thing I remember, especially bananas, one could smell them before the sack was opened. Sometimes there were enough of them that momma would make a banana pudding. Bananas shelf life isn’t very long, so if they started turning too brown, Johnny got to bring them home. Johnny was young then, I’m sure still in high school. With a child’s anticipation, we couldn’t wait to see what he would bring home. The same goes for when he worked for the Coca Cola bottling plant. As I’ve said before, I can’t open a sprite without thinking of him. I can still see the railroad tracks, the loading dock and the bottling plant. There were a lot of flats of soft drinks loaded on to that old train with the brawn Johnny put into them, along with others. It was sad when the bottling plant closed, even a sadder moment when we lost the railroad. The tracks stayed there for many years before they were taken up. The depot is still there and is a museum now. All this to remember when we were in school. We road the school bus like a lot of kids did in the 60’s. The old dirt road I speak of was about a quarter of a mile from our house. Our immediate road up to the house was too sandy for the school bus to make it down and it didn’t have a way to turn around if it made it to the house. We didn’t have the school vans or small busses then. We road bus #5 and Mr.”Gotche” Mints drove it. It was not a long walk unless the weather wanted to be ugly. We walked that road a million times through the sand blowing in the wind, getting in our mouth, teeth and hair. We walked it in foggy weather where you could hardly find one another. Now that was fun. Getting lost in the fog was amazing! We walked that road in rainy weather with no umbrella, soaking wet when we got on the bus. I remember having a tarp at the end of the road for some such days, waiting on the bus. I remember chilly weather with less than a sweater and of course cold weather with not a thick enough coat. I particularly remember on one occasion the wind was blowing really hard, the snow was passing by vertically and it was hard to get a hold on the ground being as small as I was at the time. The wind was piercing, and it hurt, the pelts of ice and snow hitting me in the face, the snow slipping into my shoes against bare skin because there were no socks. I was trying to make it as hard as I could, and I was making some headway when I felt someone jerk me up, pull me tight against him and carry me to the house, he would walk fast for a minute and then run, he was out of breath by the time we got home, we all were. It was Johnny, Kenneth, Buddy and me in school at the time. I wonder sometimes if Johnny realized how much he was appreciated or knows how much we needed him. Johnny had left home by the time he was 17 or 18 and was married by the time he was 19. So, there aren’t a lot of childhood memories I have of him. Most of the ones I do have are good ones. The nine of us were strung along for so long it was hard to have a childhood with them when they are nearly grown by the time you start school. Johnny, when you read this, just know………….I remember………..I hope you know! As I was driving home from work yesterday, I glanced to the right and noticed a small grove of wild plum trees in full, white bloom. Immediately, I was taken back to their sweet fragrance and how the slightest of breeze moved their petals. Many years ago, way northwest of the farm where we lived was a grove of these trees, in the “shinneries” mom would say. “A plum thicket momma called them”. Every summer when they began to ripen, we could be seen traipsing through the fields. Each kid had a pot, pan or some sort of bag. We were most assuredly barefoot, hillbilly acting children usually are. I can still feel the heat of the dirt and sometimes the grass burrs that stuck a little too deep to be rubbed off the bottom of the foot. They weren’t nearly as bad as pulling out a goat head though. Between mom and dad telling us to watch for snakes all the time, it’s no wonder my grand aversion to them. After we had made our trek to the grove of plums, mom would always say “Now watch out for snakes, they like it under these groves”. The thickets were thick, and thorns were everywhere. Mom with her long-sleeved shirt on could reach the higher ones, but the thorns still would go through the shirt. That’s a lot of love when someone gets scratched up like that to give it to someone else. It is a wonderful scenery in my mind right now. Nearly everyone I ever knew is still alive, mom is young, the plums are sweet and as we pick our pots full, our stomachs are as well. “You kids are going to be sick, stop eating all those plums”. Those words fell on deaf ears, but she was nearly always right. When we had eaten our fill and had picked enough plums, we would all follow mom back home, usually three or four little ones and the twins, because the older boys were usually in town doing something for dad. We would get home and mom would dump all the plums in our pots, pans and bags into a wash tub, fill it with water and wash and rinse the plums. After that, she would bring them inside. If not late into the evening, by next morning early, mom was already up boiling those plums. Here we go with another of mothers “receipts”, although I have no clue. (This would be a good place for a bit of trivia. If any of you ever saw Downton Abbey, the kitchen help called recipes “reciepts”. I find it interesting that several of the words and things my mother did definitely came from the old country). I just remember mom lifting the heavy pots, and boiling the plums and the bursting of ruby colored bubbles. She would strain the plums, leaving behind dark red water. That must be what wine looked like I thought. Back on the stove it would go in a big pot to boil some more, with sugar added. She always used something named Sure Gel. All I remember is it helped thicken up the jelly. The girls were up after a little while, all the beds were made, the house was straightened before helping mom. They would put lids on the jars, place them in hot water in a pressure cooker. Somewhere in there I remember some wax being used. Maybe that was my grandmother, hmmm, I’m not so good at “putting up garden goods in a jar”. After X number of jars were in the cooker I remember the lid being twisted on the pressure cooker and a heavy gauge that would whistle was put on top. Steam would come out of the top of it like a steam engine. Oh, the simplicity of life to remember such things that were the delicacy of my life. These may seem menial and even trivial to some, but these memories I see with my eyes closed can’t all make it down on paper. Fleeting memories of smiles, laughs and obedience training to get out of not only the kitchen, but the house in general. Momma taking the jars of jelly to the cellar for later use. The old framed in screen comes into view with that little hooked latch. I remember pulling on the screen. It made a slight slamming noise and here would come one of the twins with a “fly swat” as momma called it to run us off. With all that said, it is these stepping stones of memories that make us who we are, that help us live up to our own expectations and reward others with the joy of potential. If I wanted to be really graphic, mother has sweat on her upper lip and the sides of her hair. Her hands are busy as her mind must be as well. Often mother was busy to keep her mind from thinking too much, for idle hands were the devils workshop you know. All of this just goes to show that children as we were; hear, see and remember more than we realize as adults. One must travel back in time in order not to forget what the future will become. Sadly, all cups of morning coffee cannot hold back memories etched and sewn into the heart for a loved one that has passed. This will be an emotional story for some and much shorter than it could be. It is emotional beyond words for me, but one I feel deserves a moment in time. In an earlier blog, I wrote that my sister Brenda was destined to be forever young at the age of 27. The last time I saw her was on Easter Sunday, April 14, 1974, I was 15. I can see my small nephew, not quite six years old dressed in his Easter suit hunting Easter eggs with my baby sister Cindy at the community Easter egg hunt at the city park in Paducah, Texas. David was only six months older than Cindy. Brenda seemed well and was always happy to be with her family, except that she was a little too thin and was four months pregnant. She was diagnosed with gestational diabetes, but the doctors didn’t seem to be alarmed at the time. She was excited to be having another baby and couldn’t wait for my nephew David to have a playmate. My nephew was the love of her life and it is sad that she didn’t get to live long enough to raise him so that he could see with absolute recognition what I write. 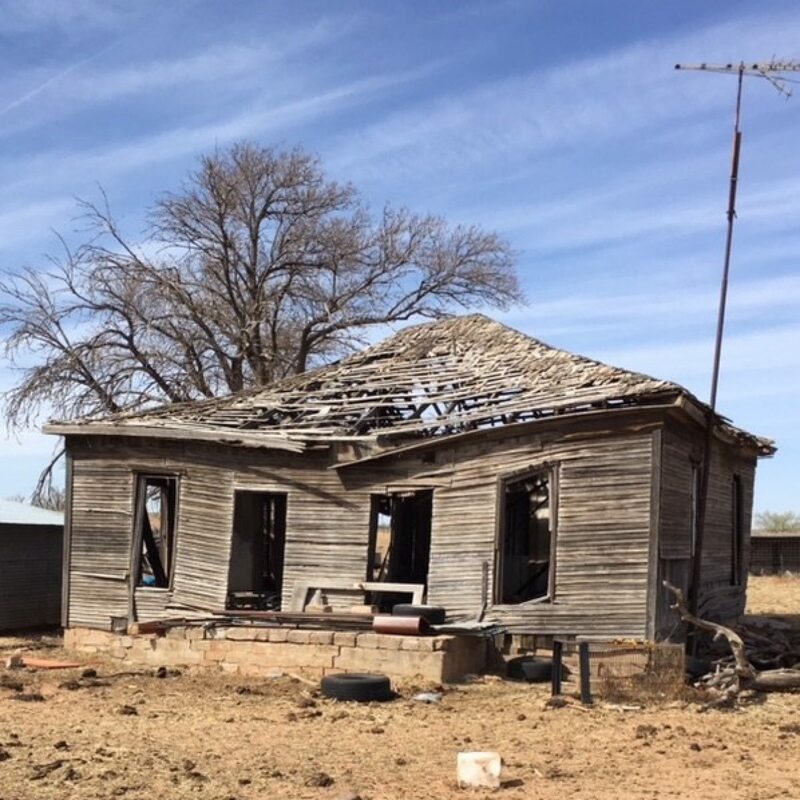 She and her small family lived in Childress, Texas. Brenda had beautiful straight teeth with a smile that could make the sun go down. None of us knew at the time how lucky we were to have one of God’s own in our presence. But, this day she looked beautiful. It was an era of Marlo Thomas hair. Her hair was a chestnut brown, not quite shoulder length and slightly flipped on the ends with a thick hair band. Her eyes were blue, and her skin was virtually flawless. Isn’t it strange the beauty we are allowed to keep from those who have long since gone? It’s like a ghost that can’t find its way back to them. I’m glad it can’t find its way back to her, for she left such an impression, it is impossible to forget. She was my sister, yet she was my mini-mom too. I miss her. Brenda was a little thing, and although she told everyone she was five feet tall, she still lacked a fraction. So, my last memory of her is one to be cherished. For on Saturday June 29th, 1974 we notice a ritzy looking black car coming down the old dirt road. It was going too fast, with billows of dirt that looked like a sandstorm following it. As it approached the house, we knew it would be no ordinary day. Two men stepped out of the car, all dressed up in what looked to be their Sundays best. They came up to the house, stepped up on the tall, cement porch and told us Brenda had died that morning. We didn’t have a phone, so I guess this was the alternative used to inform people of bad news. Immediately part of our world had ended. The two men returned to their car, their job had been done, only to return about an hour or so later, I’m not sure, it’s been a while. One of the men came to the door and told my dad that Brenda was still alive but was in a grave condition. You see, Brenda was six months pregnant and her gestational diabetes had turned into full-fledged Diabetes Mellitus. I remember staying at home, not going to the hospital. I stayed home I suppose with the younger brothers and little sister. Rodney was never told he was her favorite, but we all knew he was. That was ok, she always had plenty of herself to go around, besides, going to the hospital wasn’t somewhere we needed to be. The story goes like this, Brenda awoke that morning feeling really bad. Her husband had already gone to work. Brenda called her sister n law and asked her to take her to the ER. Why she waited in the ER so long has always been a mystery, for she walked in, but didn’t get to walk out. As she was admitted into the hospital, she slipped into a diabetic coma, a darkness that had no light switch to turn on. After mom and dad got to the hospital, Brenda lived about eight more hours. She didn’t have the chance to say goodbye and neither did we. David will never know the void she left and how much space her little body took up in our lives and hearts. It will soon be 44 years; the closure has not completely come, and I still hear I Don’t Know Who Holds Tomorrow nearly every day. “Many things about tomorrow I don’t seem to understand- But I know who holds tomorrow And I know who holds my hand”. These are the words I know Brenda tells us in the stillness of her memory. When we say the old or ill see the light to Jesus, I know part of that light is her, I just know it! What Brenda gave us when she left was the ability to accept loss, the ability to rebound from the unimaginable and the necessity to always say “I love you one more time”. I love you Brenda! For those who know me, know I am not afraid of many things. Many things I respect but do not fear, like stray dogs, wild animals or spiders. However, as this story progresses, it will leave little to your imagination as to what my cause for trepidation is. I remember being about ten years old, it was morning, probably mid-morning. Dad had several of those old metal rocking chairs around the shade trees. I remember I had moved one in the sun and for whatever reason, I had Randy in the rocker with me, just sitting, rocking and chilling. Randy is about two years old and starts saying a word that just sends chills all over me, a chill that is hard for Steven Spielberg to do. To my horror and ultimately to his, there is a huge snake about 10, maybe 15 feet behind our chair. I am in some type of paralysis, except the blood curdling scream resounding from my mouth. I am sure it was heard from every rooftop within 30 miles. Out of the house comes my mother to see what the problem is. Of course, she sees the snake and in just a flash she is outside with my dads 22 rifle. I don’t think the woman had ever shot a gun before, much less knew where it was. Before the story gets remotely interesting or funny, one must know where I have sat the chair. There are two 1957 Ford Fairlane’s directly in the line of fire of the 22 rifle. They were my dad’s. One of them was black and white, the other was solid black. Now, I don’t know what I’m more afraid of, the huge snake that’s about to come and devour me and my baby brother, or the wild-eyed woman holding that rifle, because she sure didn’t look like Annie Oakley. As mother starts screaming for me to move, get out of the chair and get away with the baby, my emotional stress and dilated pupils are on high alert. As I hear the first gun shot, I’m out of that chair in a flash, headed to heaven, I don’t know, but I’m gone. A couple of more rounds are heard, and Buddy comes from the south side of the house screaming at mom. Finally, the savior has arrived again. Buddy finally got the rifle out of mom’s hands. He shot the snake, but way to late to do CPR on those cars. She had shot the tail lights out of one of them. She hit the gas tank in the other one, and it had a hole shot through the back bumper of the black and white one. If you have not guessed it, yes, snakes are to be revered by me. At this point, I’m just glad we’re all alive. None the less, dad was less than accepting of the excuse that I was afraid of the snake, and even more agitated that his cars had been blown up. Dad was lucky there were windows and tires left on them. I’m sure when my older brothers read this, if they do, those old memories will return. I had a revelation in 2015 about my yard. Late one night we had let the dogs out to do what dogs do outside, when our little dachshund is jumping backwards and high. I could hear it, the fear before the snake. It was rattling like a dozen maracas needless to say. It was dark outside. I glanced for the snake but did not see it, nor did I want to, so we are back inside in an instant, no more dogs out for the night. I used to always have flower beds, pretty ones. I would spend a small fortune on my lawn every year, etc. Well, the morning after the incident with the rattler, out came all the lawn equipment I could find, and except for the vines that grow on the fences around my house, every flower, shrub, undergrowth or semblance of ground cover was mowed down, chopped down and thrown out, all the while looking for the snake. I’m sure it would have all gotten done a lot faster if they didn’t play hide and seek. The first year looked more like a nuclear blast had hit my yard rather than a well-intentioned change in scenery. I have a few potted plants that I bring in every fall now. And yes, I am afraid one will crawl in the pot, but that’s about as green as it gets at my house. I have hope that one day I will have grass I want to mow and a flower bed I want to clean out, but for now, my potted plants are working just fine for me. It may be sad to say, but for me, the only good snake is a dead one. Yes, I know the environmentalist don’t like that kind of talk, just look what it’s done to the Everglades. The only moral to this story I suppose is, move when momma says move! Author coffeewithcharles58Posted on March 13, 2018 April 12, 2018 Categories Uncategorized4 Comments on Move!